PHOTO: Propulsion issues aboard Royal Caribbean's Adventure of the Seas shortened one itinerary and caused passengers to miss flights while stranding another set of passengers in San Juan for three days. The Adventure of the Seas has finally left San Juan. The Royal Caribbean ship got all of its mechanical issues fixed after three days of delays and a lack of communication with passengers that had many taking to social media to voice their concerns. According to MarineTraffic.com, the ship left San Juan at 11:18 a.m. EST Tuesday. Royal Caribbean has said that the replacement of propellers underneath the ship is what caused the delays. Divers have been working since Sunday to replace the 32 bolts on the four propeller blades that needed to be replaced to fix the propulsion system. "In recognition of the impact this issue has had on our guest's cruise, Royal Caribbean International will provide each guest with a full refund of the cruise fare paid. Cruise fare refunds will automatically be processed back to original form of payment," said Royal Caribbean director of global corporate communications Cynthia Martinez. "Royal Caribbean would also like to provide our guests with the opportunity to sail with us again. We will be providing each guest with a future cruise certificate for 50 percent of the cruise fare paid for (their) March 23, Adventure of the Seas sailing." Martinez further explained the issues in port. "The removal of the propeller blades took a lot longer than expected, and this has been because of a number of technical challenges. The fixipod that we have been working on consists of a hub with four propeller blades each weighing four metric tons, each secured to the hub with eight bolts, for a total of 32 bolts," Martinez said. "Since Sunday, divers have been removing the bolts using a machine with extremely high torque. For unknown reasons, it has proven extremely difficult to remove these bolts from each blade. 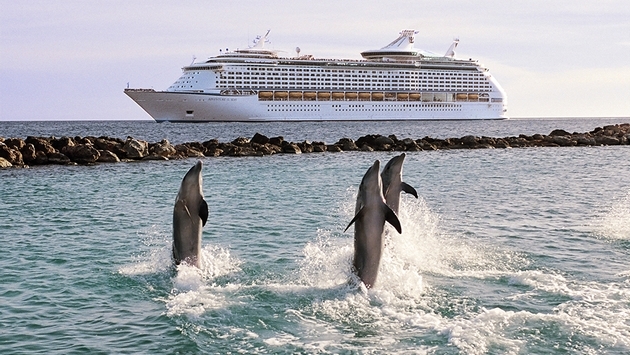 "Every time one of our ships sets sail, our single focus is to give our guests a wonderful, outstanding vacation. Clearly, due to our technical difficulties, we have been unable to deliver the Royal Caribbean cruise vacation that they anticipated, and that we were looking forward to providing them." The ship's passengers were told three different times they were headed out of port, only to stay put. After the latest delay Monday night, the company announced Tuesday morning that passengers were travelling for free and then some. 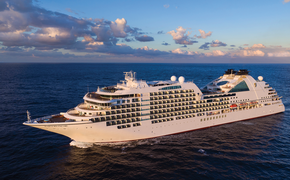 The ship will miss two ports of call because of the mechanical delays, but will still visit Antigua, St. Lucia and St. Croix before returning to port Sunday morning. The Adventure will then begin a much-needed drydock at the end of the month.